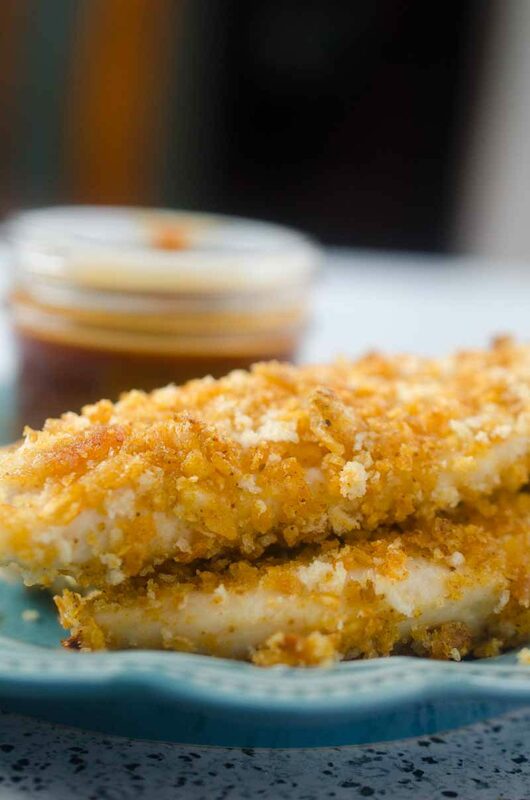 BBQ Chip Crusted Chicken Tenders are chicken tenderloins crusted in BBQ chips and baked until crispy. The perfect kid food! Ready for the ultimate kid food, friends? 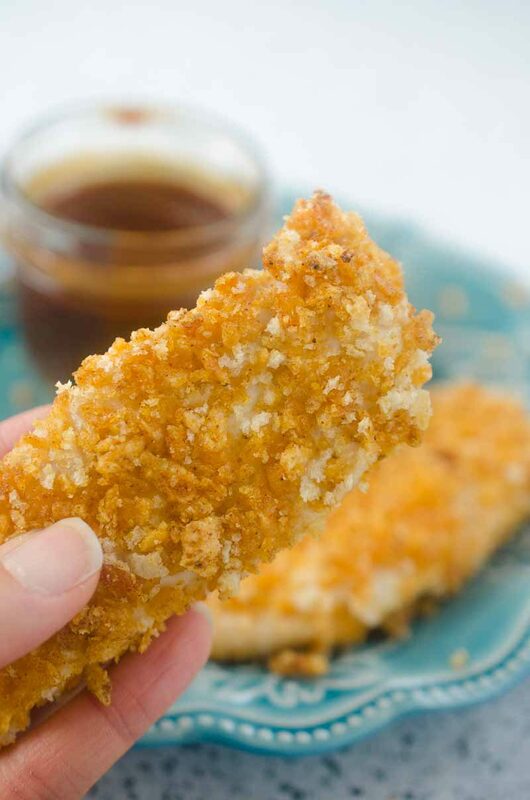 I am pretty sure that I have found it: BBQ Potato Chip Crusted Chicken Tenders. I’ve taken the ever popular chicken tender and coated them in sweet smoky BBQ chips. 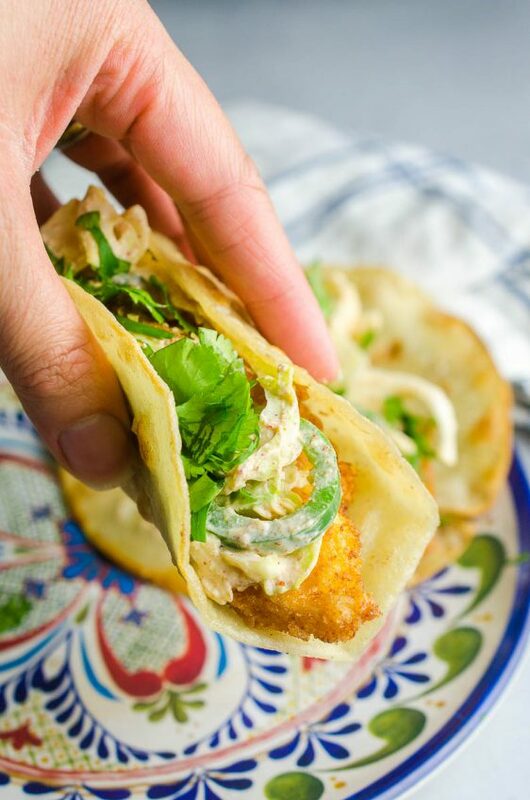 They are tender, crispy, crunchy and best of all, you can leave your fryer in the cabinet. Have you ever crusted something in potato chips before? Usually panko is my go-to for the crunch factor but potato chips work amazingly well too. Crusting food in potato chips is a great way to get the crispy and crunchy texture without having to break out the oil or fryer. I’ve done it before with pork chops but with plain potato chips. Now that I finally thought of using flavored potato chips I feel like there is a whole new world of possibilities. Mark my words- I will potato chip crust ALL THE THINGS. First up are these BBQ Potato Chip Crusted Chicken Tenders. Just when I think we are on the road to the boys eating just about everything we take a few steps back and they decide that they only want to eat only peanut butter and jelly sandwiches with a side of BBQ chips. Right now we are totally in a BBQ chip phase. They love them. Asks for them all the time. Seriously, I have to explain to them that BBQ chips are, in fact, not a breakfast food. In a quest to make them excited for dinner and not stare at the plate and say “I WANT PEANUT BUTTER PLEASE”, I decided to make something I was sure that he was going to love. I took those same BBQ chips that he can’t get enough of, crushed them up in a food processor, dredged some chicken tenders in them and then popped them in the oven and baked them until they were golden and crispy. The verdict: WINNER. WINNER. 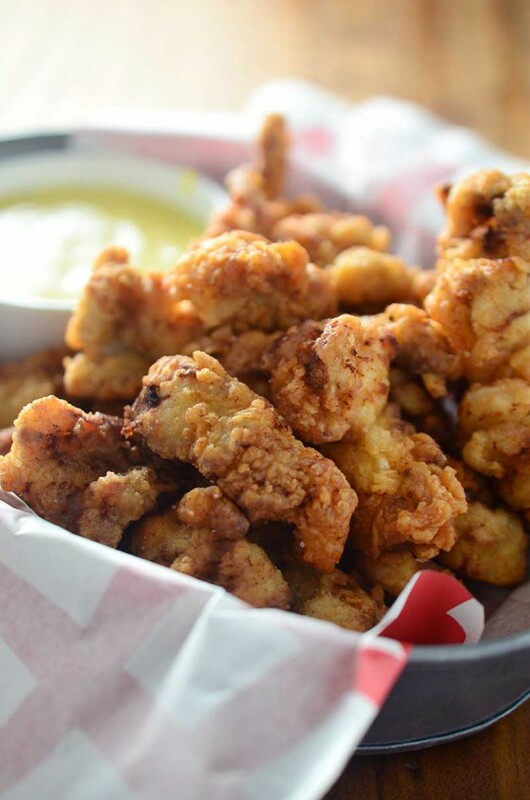 CHICKEN TENDER. DINNER. Kellan loved them, Preston love them, Ryan loved them, I loved them. And because every good chicken tender needs a dipping sauce we tried three: ketchup, ranch and BBQ. I think they were best in the BBQ but Ryan liked the ranch and Kellan the ketchup.But I’m pretty sure our boys would drink ketchup if I would let him so that might not be the best example. 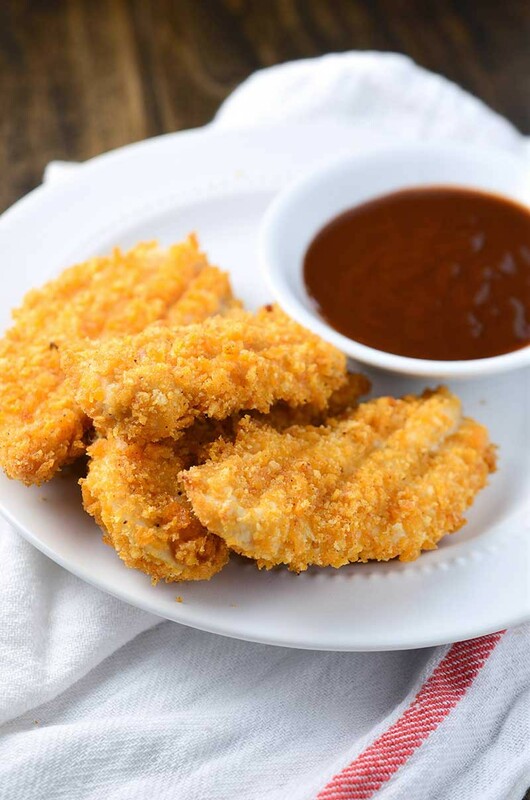 Either way, whatever you dip these in, these BBQ Potato Chip Crusted Chicken Tenders are pretty fantastic and are going to definitely be one of our go to meals for weeknights. Preheat oven to 425 degrees. Place a baking rack on top of a baking sheet and spray with cooking spray. Whisk the egg and milk together in a bowl. 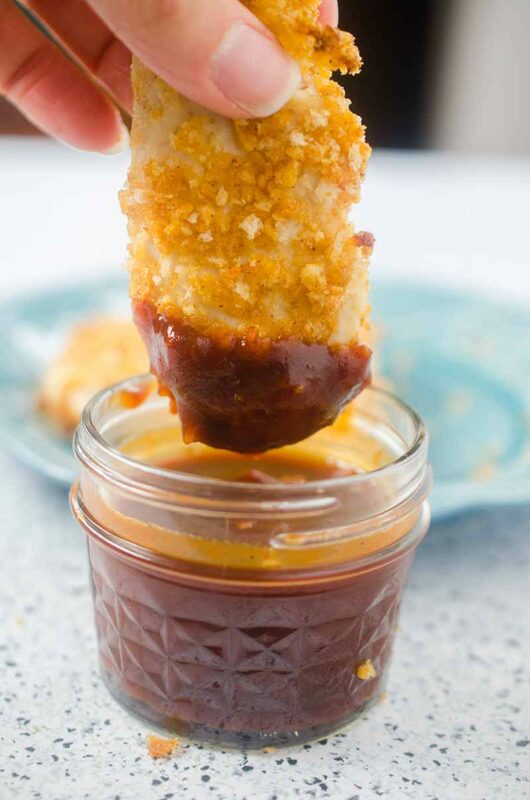 Combine the panko and BBQ chips together on a plate. Dip the chicken tenderloins into the egg and milk mixture and then dredge in the BBQ chips. Place on prepared baking rack. Repeat until all chicken tenderloins are coated. 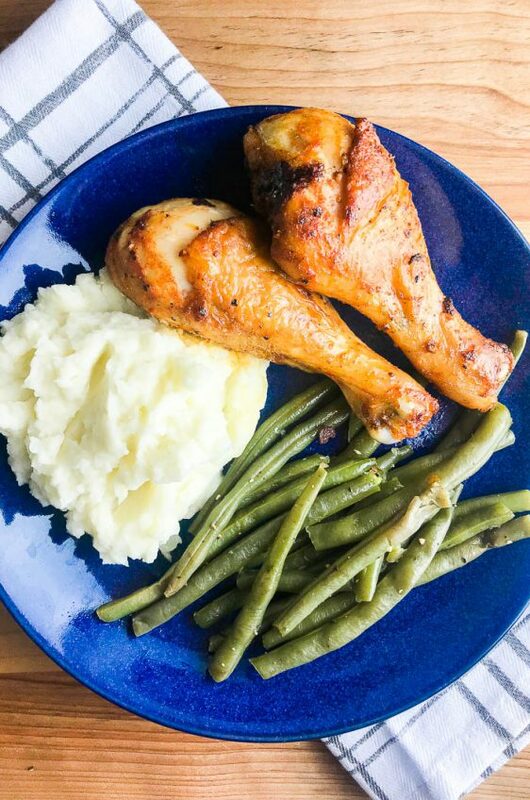 Bake chicken in preheated oven for 10 minutes. Turn and bake for another 5 - 10 minutes or until chicken is cooked through. Transfer to a serving platter, sprinkle lightly with salt, if desired. Serve. 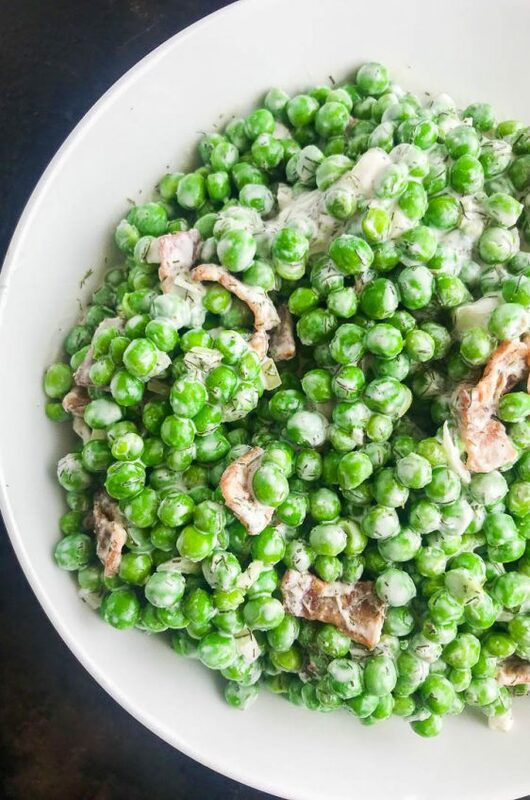 Well this adult would certainly love this ultimate kid food, too. 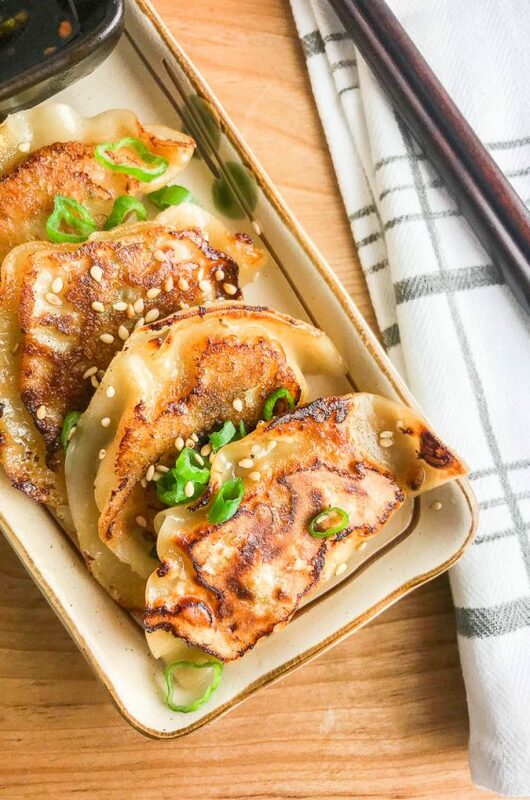 Just pass the BBQ sauce and a bottle of Sriracha! Sriracha must be part of the equation at all times! Brilliant! 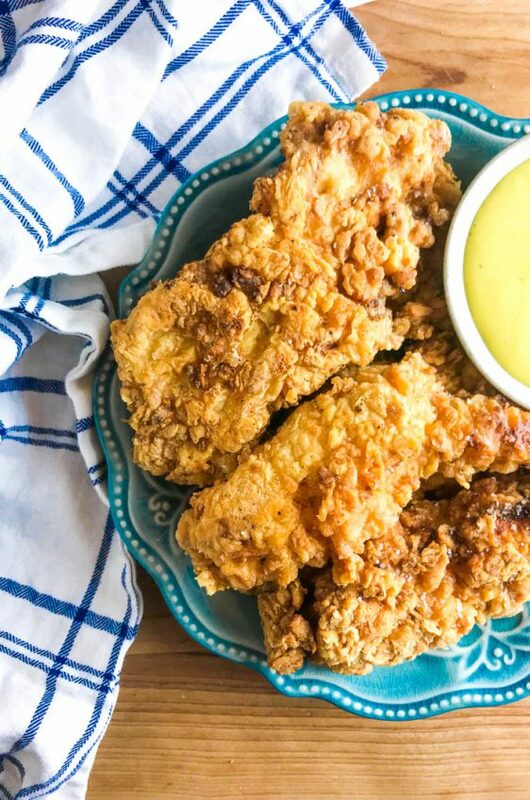 I bet my husband and little guy would go crazy for these tenders. I will be pinning this and using it ASAP! But, I think I just gotta do it because I NEED THESE. Pinned! These need to happen ASAP in my house. haha, I love that you used crushed BBQ chips! :) I bet these will go over so well with my family!